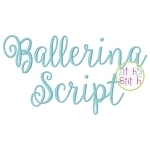 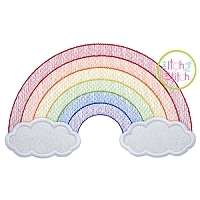 The Set includes 4 applique designs; the rainbows feature a light and airy sketch fill pattern. 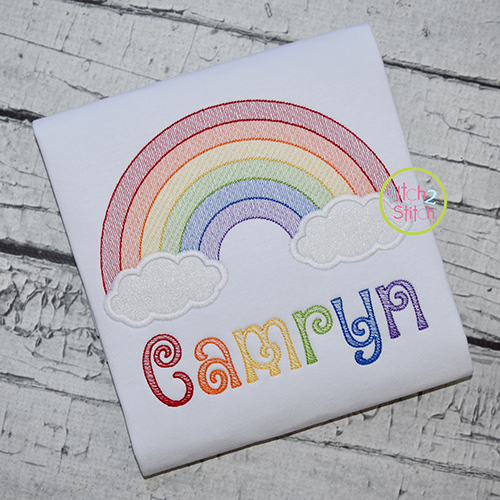 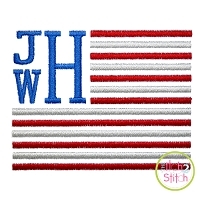 The rainbows are not applique; they feature a light and airy sketch fill pattern. 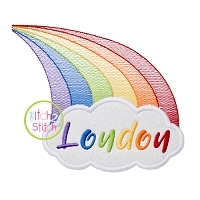 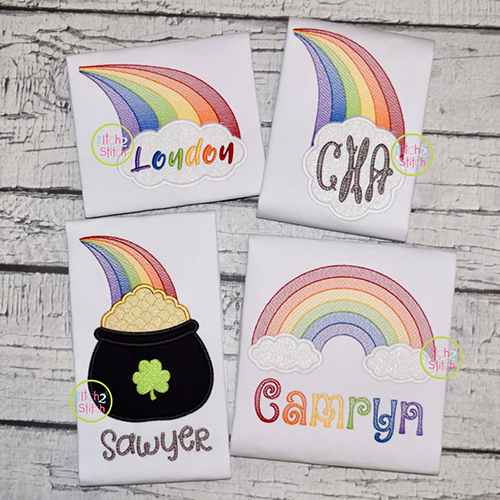 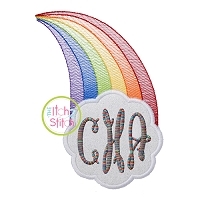 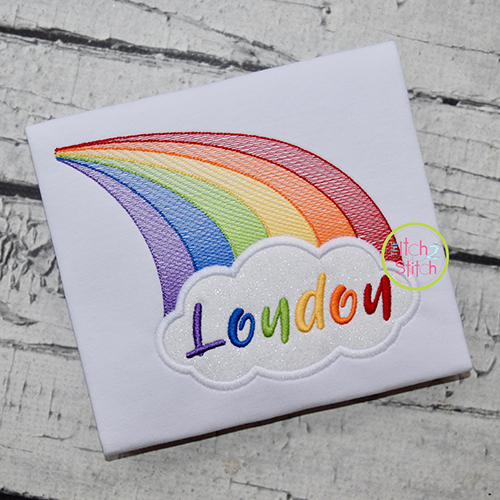 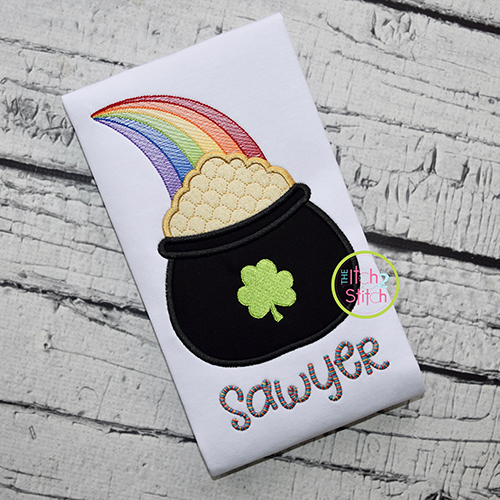 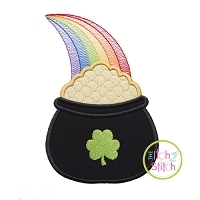 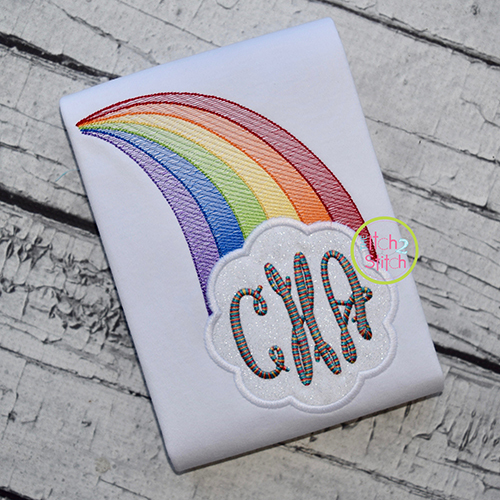 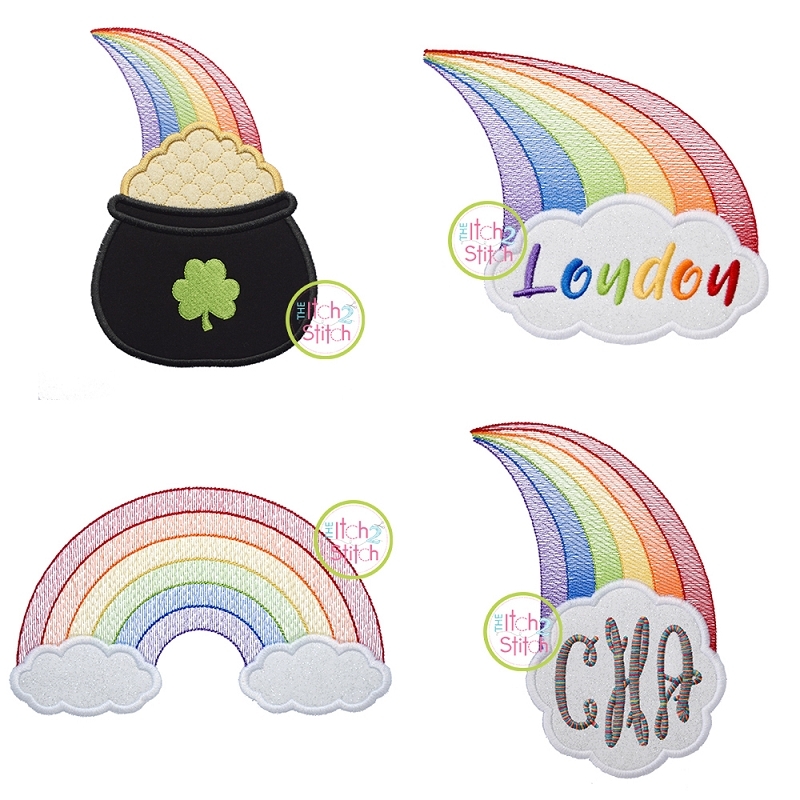 Rainbow Design Applique Set includes the following designs: Pot of Gold Applique, Rainbow Cloud Name Applique, Rainbow Cloud Monogram Applique and Rainbow Clouds Applique.